Burning paddy husk in a rice husk furnace can be a complete substitute for gas or diesel by burning paddy husk to provide necessary thermal energy. This not only increases the millers/farmer’s income through significantly reducing drying cost and improving grain quality, it is also an important 21st century drying industry breakthrough. Paddy husk had long been considered rural waste, but with this technical innovation it can produce amazing thermal energy. The thermal energy generated by 1 kilogram of paddy husk is about 3,000 to 3,500 kcal. Therefore, only 2.5 kilograms of paddy husk can provide the equivalent thermal energy produced by one liter of diesel. Paddy husk is a valuable biomass energy and its net CO2 emission is zero. The annual world production of paddy is approximate 620 million tonnes. Considering each tonne of paddy requires 20 liters of diesel for drying, this results in an annual diesel consumption of 12.4 billion liters, which emits approximately 33.5 billion tonnes of CO2. This emission would be equal to the CO2 consumption from a 1.68 billion hectare of forest. A small increase of 1 degree Celsius reduces global crop production by 10 percent. For this reason, the only solution for reducing pollution and drying cost is to make good use of a rice husk furnace. 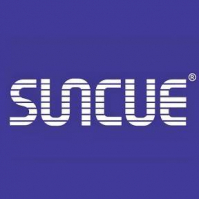 SUNCUE Company Ltd, a leading developer of drying technology for more than 48 years with customers in over 40 countries around the world, has successfully developed the SB Rice Husk Furnace Grain Dryer and has earned the patent on “complete combustion” technology. It means husk milled from 1 hectare of paddy can be used to dry 3 hectares of paddy; and husk from 1 tonne of wet paddy can be used to dry 3 tonnes of wet paddy. This triples the efficiency ! What makes the SUNCUE SB rice husk furnace uniquely superior is the fact that it is the only furnace in the world that can overcome the handling problem of black smoke air pollution without using a smoke wash system. In addition, the SUNCUE rice husk furnace is the only furnace that has passed not only strict performance testing but also stringent air pollution testing in both Japan and Taiwan. SUNCUE dominates the world technology by providing steady and even indirect hot air. Conventional grain dryers are fuel consuming. And International oil prices are constantly increasing and fluctuant. As a result, the costs of drying increase and create a major burden for farmers. For those countries with lower grain prices, farmers can afford to buy grain dryers, but have little money to purchase fuel for operating the dryers. Hot air temperature control is crucial to quality grain drying. When the hot air temperature is too high, it easily causes fissure grains. On the other hand, when the temperature decreases, the drying rate slows. Therefore, the only solution for providing steady hot air, ensuring fine grain quality and enhancing drying efficiency is the Rice Husk Furnace Grain Dryer. Hot air temperature generated by the Brice husk furnace can be controlled precisely within the range of ±1 degree C due to SUNCUE’s proprietary computerized micro air adjusting system. Each unit of the SUNCUE rice husk furnace can connect to more than one grain dryer and still supply constant hot air for drying. By applying the indirect heating design, grain quality can be enhanced while significantly reducing drying cost. Regarding the application of negative pressure for husk furnace, tar is not easily produced, thus there will be no contamination to grains nor corrosion to the dryers. In order to lighten the operational and management loading, the Suncue rice husk furnace is also equipped with multiple safety devices and error proof designs, so operation is simple. Thousands of tonnes of grains can be dried by a single operator every day.In particular, ash after complete combustion has economical values. It can be used as an industrial insulation material, organic fertilizer, soil improvement mechanism, deodorant or other agricultural use media. The utilization of paddy husk is 100%. When it comes to grain drying, it is important to refer to drying theory. Among all kinds of grain, paddy is the most difficult grain to dry. Since only 20 percent of paddy’s moisture is on the husk, less moisture can be vaporized from the husk surface. The remaining 80 percent of the moisture is inside the paddy, and the waxy testa that coats the outside of the paddy prevents moisture from vaporizing, therefore that 80 percent of the paddy’s moisture can be released only from the embryo. When the paddy is heated, the moisture close to the embryo will be dried rapidly, however, the level of the moisture inside the paddy remains high. This results in uneven moisture distribution. If the paddy is heated continuously, fissure will occur and there will be cracked kernels. Hence, dryers with a tempering design are the most suitable ones for drying high quality grains. What is a mesh type re-circulating grain dryer ? The re-circulating grain dryer insists on utilizing “low drying temperature & speedy drying” because fissure and broken kernels occur easily when using a high air temperature. Moreover, they also experience a lower germination rate and lower quality grains, with those dried grains turning to animal feeds. Thus, adapting low drying hot air temperature and low grain temperature can guarantee the high quality grains and create a high germination rate. Even drying implies, even circulating, even moisture, even hot air temperature. Consider a 30 tonne capacity dryer containing around one billion paddy kernels for example. How do you make each kernel circulate evenly with uniform moisture? It requires special drying technology. Each SUNCUE mesh type re-circulating dryer is equipped with a distributing spreader on the top of the dryer, and can distribute grains with different weights evenly in the tempering bin. Also, there are various rotary valves at the bottom of the dryer which ensure even circulation to facilitate even circulation and uniform grain moisture content. SUNCUE’s low temperature re-circulating paddy-wheat grain dryer can be operated independently or connected together as a large-scale drying center. Grains can be dried right after harvest immediately so the opportunity of producing aflatoxin can be reduced. Each SUNCUE low temperature re-circulating paddy-wheat grain dryer is embedded with a computerized moisture meter, which can automatically detect the grain moisture value. Dryers stop operation automatically when the grain moisture reaches a set moisture value. No professional operator is required. Grains can maintain at the same quality level from each batch without worrying about over-drying, uneven drying and yellowish rice in storage. Utilizing innovative green technology SUNCUE utilises innovative green technology to achieve environmental protection,energy conservation, low CO2 emissions and earth care goals. SUNCUE, a Taiwanese company, established in 1966, is the leading manufacturer of grain dryer with superior research & develop capability. There are hundreds of systems implemented successfully worldwide ranging from several tonnes to several thousands of tonnes of handling capacity every day. For satisfying big capacity corndrying customers, SUNCUE also has there-circulating dryer especially for maize. Looking to the future, SUNCUE will continuously manufacture value added products and bring the most benefits to customers. Our vision will always be to become the world–leading pioneer in quality and performance, to help customers with best satisfaction, and to continue its leadership well into the future.